As I have gone through the process myself, I figured I should comment on the experience and outline some of the key things to keep in mind if you are thinking this might be a path for you. I am going to break down how to increase your chances of landing an interview and what to possibly expect during the interview process. Every semester, StarFish receives resumés from engineering students from all across Canada who hope to land a co-op job. The first step in being noticed is having the knowledge, skills, and experiences that will make you stand out. StarFish doesn’t just hire anyone; they are looking for keen students who know how to apply theory to real world problems, are passionate about engineering outside of the classroom, and honestly live and breathe this stuff. It’s no coincidence that I work alongside a team of electrical engineers which is made up by almost all former university engineer club leads. I strongly suggest that when forming your resume, cover letter or portfolio, you highlight past projects, passions, club memberships, and describe any cool engineering-related problems you have solved. You got a call back for an interview, now what? I can’t speak for all departments’ hiring practices but in my case, I had two interviews. The first interview was with the electrical engineering department manager. This was a relaxed interview where we discussed the projects I had listed on my resume and it gave me a chance to go into further detail explaining what challenges I had faced during projects, and what technical achievements I was proud of. It was during this time that StarFish got to gauge what type of person I was and if I would fit in with the culture. After the first interview I was then called in for a technical interview. This was conducted by Starfish’s principal engineering physicist who is one smart guy. This interview was a series of technical questions that I had to solve by drawing various schematics, calculating component values, and making engineering decisions based on experience and theory. 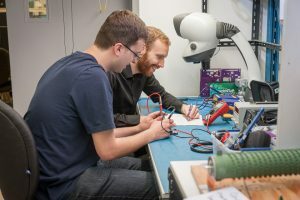 Before you attempt the technical interview, I suggest brushing up on theory of transistors, passives, and semiconductor devices as technical interview questions focused on these subjects. Did I answer every question during the technical interview correctly? No, but the interview gave me a chance to show how I think and what tools I use to solve problems, which is the information my interviewer was most interested in learning. I hope you found this information insightful. Click here to submit your resume, cover letter, etc. Good luck to all hopeful candidates and perhaps I’ll see you in the StarFish EE lab! Martin Kellinghusen, is a Jr. Electrical Engineer at StarFish Medical. 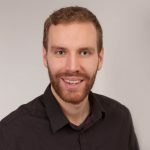 A recent graduate of the University of Victoria Martin has worked on a variety of medical devices and is very passionate about electrical engineering specifically anything that drives flies or goes fast! This is Martin’s first StarFish blog.